Highly desired Land Park neighborhood! Wonderful 3 bedroom plus den and 2 full bathrooms! Den can be used as a formal diningroom. May be possible to remove the wall between living room and den to make a huge great room. Endless possibilities. One car garage with extra large space in garage for a huge workshop. Gorgeous newly refinished hardwood floors! New vinyl plank floors in the kitchen and large inside laundry room. New carpet and pad in the master bedroom. New lighting, hinges and knobs on doors and cabinets. Corian shower & counter top in master bath. New interior and exterior paint. Newer Corian counter tops and cabinets in the kitchen. Shutters on most windows. All newly refinished white cabinets throughout the home. Nice size low maintenance yard is perfect for kids and BBQ's. Owner loved, cared and owned this home since 1951. 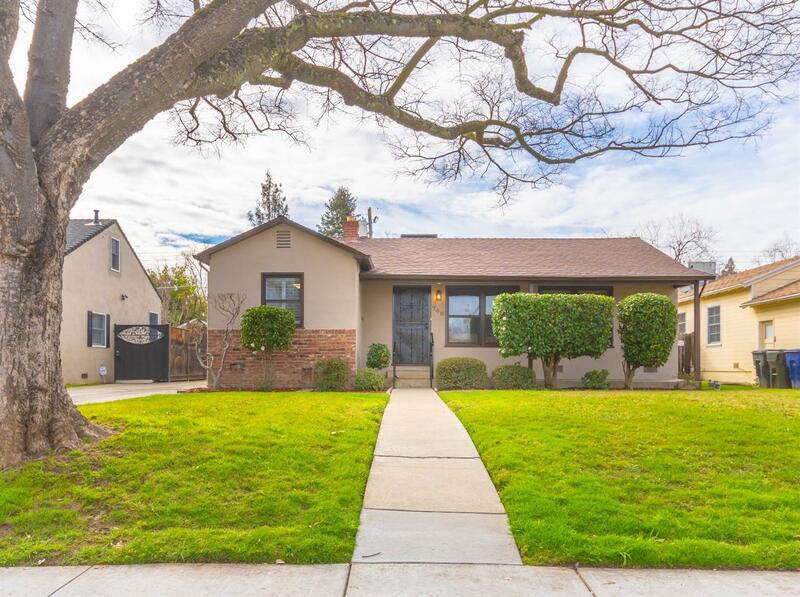 Close to wonderful restaurants, golf course, duck pond, Fairy Tale Town, Funderland, Sacramento City College, downtown and so much more! Wow!